I've been thinking about the prospect of becoming a teacher for a while now. I mean, most practical writing-people who have the desire to study literature or any other flimsy career like that have to consider it at some point, right? And I think I would enjoy it. As of late I've been observing my teachers, characterizing them in my head. They're delightfully varied characters, with distinguishing marks in which I delight. My Spanish teacher is my favorite. She's an enthusiastic, passionate 30-something year old, with a violent eye for humor and irony. She's also open to the world as few people are, knowledgeable in every field one can imagine, from folk music to history. And she loves it all. She loves knowledge like a prisoner loves liberty, and she transmits this through her vivacious classes, with never a dull moment when her fluid and embellished conversation can fill it up. 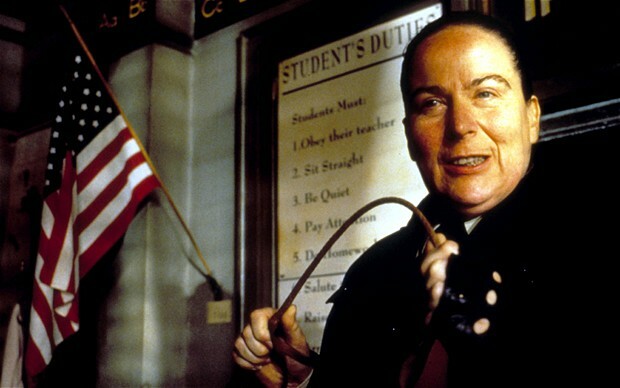 My English teacher has short, straight hair, a gap between her teeth, a British accent, and a pair of small, loony black eyes. I've seen her wear the same clothes two days in a row many times. But even though at first sight one laments the fact that she's going to teach us English for a year, after a few weeks the feeling evaporates. She, too, is passionate for books and what books can teach us. Showing us videos online of beautiful poetry, intellectual seminars, movie clips that have everything to do with the book we're currently reading and makes us understand that "Oh, maybe that is what life really is about." My History teacher is a short, pretty lady who must have a closet bigger than my house. I've never seen her wear the same clothes, nor the same combination of colors. For this hippie at heart makes a point of wearing every color of the rainbow at the same time in every one of her outfits. But she's tolerant, open-minded, knowledgeable, and insightful. I hate my Math teacher so let us not talk about her. My college-admissions exam teacher is witty, funny, happy, youthful, very smart, very knowledgeable, he talks two hundred miles a minute. I at times want to hate him because everybody loves him too much, but it's impossible to hate someone who hates nobody. My Biology teacher is a prim, pretty woman of about 40. She constantly uses examples in class about height, about how she's short and someone else is tall. Dresses to prim perfection, talks to prim perfection, and gives a perfectly prim (see: boring) class, but it's okay. She's not at all as mean as she appears to be at first. And if I didn't remember a teacher by now that's because they weren't worth writing about. So great you have some really inspiring high school teachers! I usually disliked my math and science ones as well. Really inspiring teachers are unfortunately few and far between. Teaching is a really great way to earn a living, and you can still be a writer (it is very hard to really get started with a career in writing, but that should never deter you from trying).